I have thoroughly enjoyed the last few days, despite running around in circles between the Dubai Boat Show and the Emirates Festival of Literature. 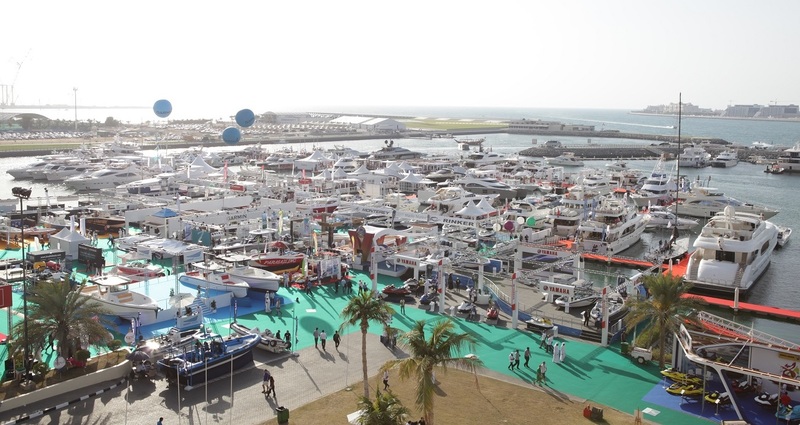 The boat show has seen key industry agreements and has set itself as the region’s leading platform for leisure marine business. I had a glimpse at lavish superyachts, small and mid-sized boats, watersports products and recreational marine activities enthral thousands of visitors. This years edition of the Dubai International Boat Show will close on a high note today with visitors eager to witness some of the finest superyachts and boats, luxurious automobiles, small to mid-sized vessels and the show’s newest sectors covering Fishing, Sailing and Watersports. I also enjoyed the event DIBS organised together with the CEO Club and naturally the preview of the new innovations on some of the yachts I saw….impressive. The superb team at Gulf Craft gave us a glimpse of their latest superyacht, Majesty 122 , a luxury fly-bridge designed to suit the Mediterranean lifestyle with indoor and outdoor lounge areas, two decks and luxurious accommodation for 10 guests. A new collection of yachts, Nomad was also announced and is designed for passionate seafarers who enjoy long-range exploration with friends and family. Among the significant agreements that have taken place is the Memorandum of Understanding (MoU) between Kleindienst Group – developer of the Heart of Europe complex at The World Islands, and ART Marine, which will have the Middle East-based 360-degree regional leisure yachting enterprise manage four to six boutique, individual marinas within the resort. As part of the agreement, clients who purchase a villa at The Heart of Europe development will be offered an option to receive an exclusive Riva Iseo boat, as a bundled package, from ART Marine. In a similar breakthrough agreement, local company Dar Al Tawasel, regional distributor for the unique Seabreacher high performance watercraft which can jump over, dive under, cut through waves or do a full 360 barrel roll on the water, will also be providing their iconic Seabreacher X model in the form of a shark-style body to purchasers of “The Seahorse” underwater villas at The Heart of Europe, via a partnership with Kleindienst Group, which was announced at the show. One stand I always visit is the leading UAE-based yacht and boat manufacturer Gulf Craft where the owners and the team are more friends than just exhibitors. They signed a Memorandum of Understanding with the Higher Colleges of Technology to develop avenues for the training and education of the UAE’s future maritime professionals. The agreement will see Gulf Craft provide a number of scholarships for HCT students studying Maritime Engineering and Naval Architecture, as well as provide work placement opportunities. In a ground-breaking campaign, 23 of the world’s leading superyacht manufacturers, building the finest large yachts in the world, have agreed to work together to promote the extraordinary features of superyachts to a broader audience. The Superyacht Life programme, launched at this year’s show, is designed to promote the whole superyacht industry and bring innovation, craftsmanship and inspiration to a new, wider audience, via a new elite magazine and an exclusive website. Returning this year is the Retail Village, focused on nautical retail products such as swimwear, nautical footwear, watches and accessories, as well as DMEX, which showcases the latest in diving equipment, regional dive centres and international dive destinations. With the growing trend of aquatic sports and activities, DIBS Water Sports is great to visit as its dedicated to all related fun activities like kayaking, canoeing, and jet skiing plus surfing, kite surfing, and wind surfing, with a dedicated testing pool for water sports enthusiasts. With the growing interest in sailing in the region, DIBS Sailing offers members of the public the chance to enjoy the pleasures of sailing at the show. Visitors can take the helm, trim the sails or simply sit back and enjoy the ride as they soak up the atmosphere of Dubai Marina. Fishing, a long integral sport and vocational activity in the region, is also on showcase at DIBS Fishing, with a huge range of tackle, the latest rods and equipment as well as casting demonstrations and more. Being a petrol head, I enjoyed the Supercar Promenade with world-class marques showcasing the fastest, newest and most innovative vehicles from powerhouse high-end motoring manufacturers such as McLaren, Bentley and Mercedes, and modified automobile specialists. Its the last day today so head to the Boat Show if you have not. After the show, do visit Dubai Canvas as I am particularly proud of this 3D art festival that has been a buzz at our office in octOpus the last few days. Its the perfect place to take your boat show visitors after the business is concluded.